Other Aboriginal Cultural Awareness & Resources Workshops, Education & Training Sessions and Support Groups can be designed to reflect your community's specific need. If you would like any of the workshops in your community please contact Stó:lō Nation Health Services. The purpose of this service is to provide clinical support and referrals for individuals experiencing a mental health crisis outside of regular Mental Health and Addiction Centre hours. Any individual who is experiencing a mental health crisis who resides in Abbotsford, Agassiz, Anmore, Belcarra, Burnaby, Chilliwack, Coquitlam, Delta, Hope, Langley, Mission, Maple Ridge, New Westminster, Port Coquitlam, Port Moody, Surrey, South Surrey, or White Rock is eligible. It is also available to friends, family members, mental health workers, doctors, etc. looking for advice regarding someone in crisis. For more information, visit the Mental Health section on the Fraser Health website. 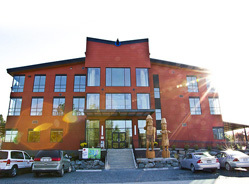 The First Nations and Inuit Health Branch contracted Stó:lō Nation to provide mental health counseling to off reserve clients located within the catchment area from Langley to Yale. The contract therapist can also work with on reserve communities under the Health Transfer Agreement, which includes Aitchelitz, Leq'a:mel, Matsqui, Popkum, Shxwha:y, Skawahlook, Skowkale, Squiala, Sumas, Tzeachten, and Yakweakwioose. Stó:lō Nation has contracts with ten therapists in the Mission, Abbotsford and Chilliwack areas who are approved by FNIHB to provide short-term crisis counseling. Community members can access this service by contacting the Health Intake Counselor. This program aims to increase awareness of Aboriginal Youth Suicide, facilitating collaborative approaches and linkages within other services, while improving and strengthening crisis response efforts and enhancing knowledge development to what is known about what works in preventing youth suicide. This program includes ensuring youth have a strong sense of identity, meaning, and purpose, along with resilience. For more information, please contact Health Services at 604-824-3200 or toll-free at 1-877-411-3200.